￼Wolverine are an invigorating breath of fresh air. Although having their origins in death metal, the cradle which once rocked this Swedish based band has been well and truly left behind as, by their own confession, they have relentlessly explored inventive, progressive and melodic pathways as expressions of their music. They first appeared on my radar with the release of their previous album Communication Lost in 2011, since which time I have happily immersed and contentedly lost myself in their back catalogue whilst waiting (not always) patiently to see where the journey will take them next. Communication Lost is a hugely expressive, passionate and at times deeply stirring album which traverses moody, destitute and forlorn landscapes, capturing soulful atmospheres that blend and coalesce complex combinations of power, foreboding and even menace with at times the most delightful melodies and captivating symphonic harmonies. It is an album which brilliantly epitomises and exemplifies their ‘sound’ and, in the process, marks them out as engaged in a project which stands uniquely apart from the ever increasing number of other bands traversing similar waters. Five years later we have the release of their fifth studio album Machina Viva which not only confirms the work of the previous album as foundational in shaping the vision and musical direction of the band but which also marks yet another significant progression in directions which are unexpected, captivating and often chillingly beautiful. The dark, sullen atmosphere and permeating moodiness now serve at all levels as a vehicle to express refined, dynamic, penetrating layers of rippling textured melodies and instrumental voices which shine as soothing lights in the darkness. At the heart of it all is an immaculately clean sound presented with cutting crystal clarity. Not only have both Communication Lost and Machina Viva had exemplary levels of audiophile attention lovingly lavished on them, but in so doing the recording reveals and exposes to maximum effect the way the band is set up and how the instruments are balanced and interact with each other. Everything is grounded in and built around the drums. Founder Marcus Losbjer sets the distinctiveness of the tone with intricate, complex, almost tribalistic rhythms which energise and incite the participation of the others and which the recording isolates, promotes and places firmly centre stage. Jonas Jonsson’s guitar is often used to provide a stark contrast in offsetting the heaviness of the drums, adding a refined and elaborate layer of lighter melody. Thomas Jansson on bass oscillates between adding vivid, sonorous depth to the rhythm of the drums or building balance with the guitar work and widening the soundscape. Similarly Per Henriksson’s keyboards weave enveloping patterns which can simultaneously overlay as well as underlay the central sound stage giving an expansive intensity to the atmosphere. Co-founder Stefan Zell’s vocal work is unmistakable, a palpable presence and convincing character behind the insightful and pointed lyrical narratives. What this allows them to do is explore more fully their progressive journey in terms of how these narratives are composed, structured and performed. Machina Viva is a wonderful and confident demonstration of a band who are grasping the possibilities of what their music is allowing them to do. There is a more confident sense of insight, discernment and purpose behind the telling of the stories. 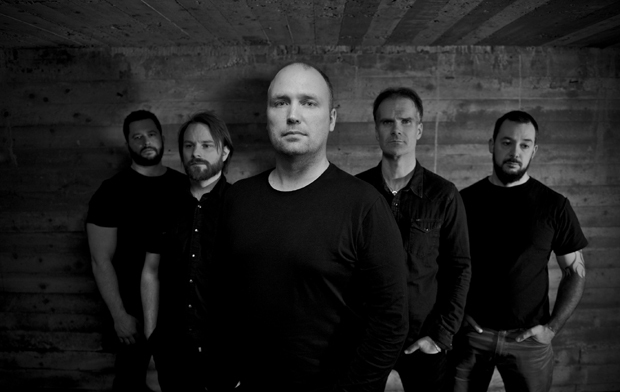 The Bedlam Overture, opening the album at the best part of a tasty 15 minutes, is an exhilarating showcase to the band’s growing confidence to create shifting narratives and twisting plots in and through creative and complex musical transitions. The album also attests, I think for the first time, to the diversity of creativity and influences which are displayed in the songs. Machina takes you completely by surprise when you suddenly realise you are hearing a vibrant and pulsating layer of electronica subtly incorporated into the arrangement. Our Last Goodbye leaves you breathless just at the point where some listless orchestration on the French Horn subtly emerges from the background. And the wonderfully relaxed Pile of Ash is reprised as a reflective piece for cello in the bonus track. 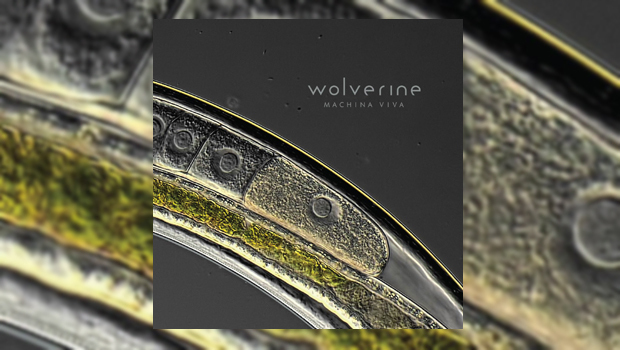 Machina Viva represents both a significant as well as a discernible stepping stone in the development of a band who have already come a long way and, you feel, are beginning to enjoy the satisfaction of what they are doing now and the anticipation of the possibilities for what lies ahead. My one concern? I’m not sure I have the patience to wait another five years until the next album!